Traditionally, there’s been a bit of a tug-of-war between playing the Pass line or making place bets on individual numbers. 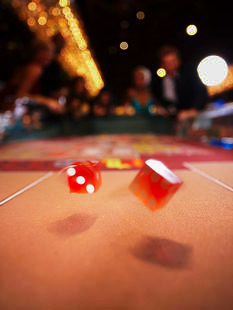 Remember, the pass line can still be played after the come-out stage of craps: well, not directly, but via the Come, whose odds are roughly the same. The very reason the casino offers the Come line in the first place is so the house doesn’t have to lose out on potential betting activity after the point has been established. There are a lot of arguments made by both proponents and opponents of either betting strategy. Some of these arguments are based on sound science, while others are just idiotic, inane, and utter nonsense. Betting according to the latest trend will never work. Nor, for that matter, will a recourse to comparatively ancient strategies do you any good. The key differences between the Pass line in place bets really come into focus when we’re talking about taking the odds. Should you bet directly on the numbers? Or go with the odds? Now: by directly placing your numbers you’re able to choose precisely which numbers you want to bet on. You’re able to call your bets off and remove them whenever you feel like, and laying a place bet on 6 and 8 gives a house edge that is fairly close to the Pass line percentage. Also, perhaps crucially, whereas you choose the numbers on a place bet, the same cannot be said of a Pass line or Come bet. And just as crucially, place bets can be added or removed at any time, whereas Pass line and Come bets have to stay on the board once a number/point is established. So, let’s talk in numbers and figures. Let’s say you bet $10 on the Pass line or the Come. Looking at your average odds, you know that the expected loss on the $10 is around 14 cents. That’s because these squares have roughly a 1.4% house advantage. Now, if you were to make a place bet on the 6 and 8 squares it would have to be in multiples of $6, meaning you’d need to bet at least $12 dollars to match (or at least come close to) the $10 minimum Pass line bet. On this wager, the expected loss is 18 cents, because of the 1.52% house edge. So it really becomes a question of mathematics: would you rather lose 18 cents or 14 cents? Sure, you could buy bets on 4 and 10 and also have a pretty low house edge, but you often need to buy them at quite high sums in order to get those good odds in the first place. Okay: we’ve done a lot of explaining and discussing here. But what’s the take-home message? The Pass line bets give you the lowest possible loss per bet, which, by extension translates into the best risk–reward ratio on the craps table. While it may seem like a conservative bet, the Pass line really does give you the best odds possible. So where did we get our name from? 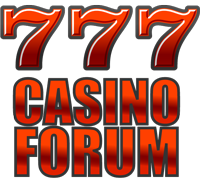 Well, 777 Casino Forum is all about good luck, and it turns out you can’t get luckier than the number seven! Like rabbits’ feet, and four-leafed clovers, the number 7 has long been considered a sign of good luck in many different cultures. You’ll notice it is a reoccurring patter in casinos, especially in decorations and slot machines. Superstitious players even wear it somewhere on their person: as pendants, key chains and printed on their shirts. 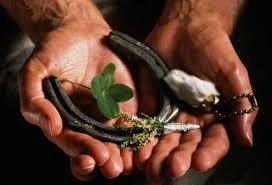 The origin of this superstition is very entertaining and cosmopolitan, found across numerous religions and societies. It is extraordinarily rare that a lucky number be so widely shared across the world. For instance, it turns up all the time in ancient Jewish history. The Ancient Greeks considered it to be a perfect number, mathematically, and therefore lucky – the Arabs then adapted this belief in their turn. The Goths (ancient European Germanic people, not the alternative subculture) worshiped seven gods. In Chinese tradition, the number is considered lucky because it sounds like the Chinese word for ‘life essence’. And that’s if you have just one seven. It stands to reason that if you take 777, like we did, you’ll get triple the luck! This is a guest post by Harry Von Schlussel, Promotions Manager at Crazy Vegas Casino, the UK’s favourite online casino offering up to $3000 in freeplay casino bonuses. People often ask the best way to win at a casino. This question is loaded with all kinds of misconceptions. As any pro gambler knows, it is impossible to win all the time in games which involve a chance element. There is no strategy that will guarantee constant wins. However, there are strategies and techniques that can significantly improve your odds in games that require an element of skill. Casino games are divided into chance and skill games, and while the outcome of chance games (like Craps, Slots and Roulette) depends entirely on luck, the skill games (Blackjack and Poker), allow the player to regain a bit of an edge. This requires a unusually good knowledge of strategy and rules, as well as a lot of practice. Luckily, there are a lot of game simulations and online tournaments which are an excellent way to sharpen playing skills. 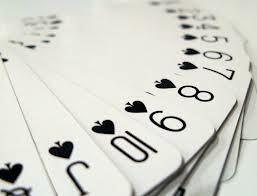 In Blackjack, card counting can help significantly improve chances of winning. Poker players play against other players rather than the house: it is very much a contest of skills and psychology and so the advantage must be gained over other players. 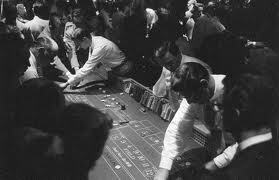 While blackjack gives players the best odds on the casino floor, modern technology poses a problem for card counters. 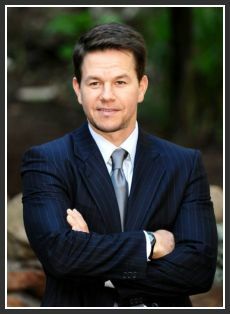 Therefore, Poker is the most lucrative casino game for skilled players. This is a finger crossing guest post by Carla Harris Manager Promotion at Casino-Mate, the authentically Australian online casino. Join today and get $500 free in casino bonuses!